I grew up with metric measures, but it wasn’t until I started working with dimensional lumber that I came to appreciate the value of the imperial system of measures. Some people believe that just because something comes in multiples of 10, that it must be inherently better. I don’t believe so. Let’s take the case of the humble 2×4, the standard piece of building lumber in North America. In Australia a similar piece of lumber would be classified as 45mm ×90mm. The reality is that in metric measures, everything is typically expressed in millimetres. The problem is that mm are so small that it is hard to visualize, it is much easier to understand what an inch is. 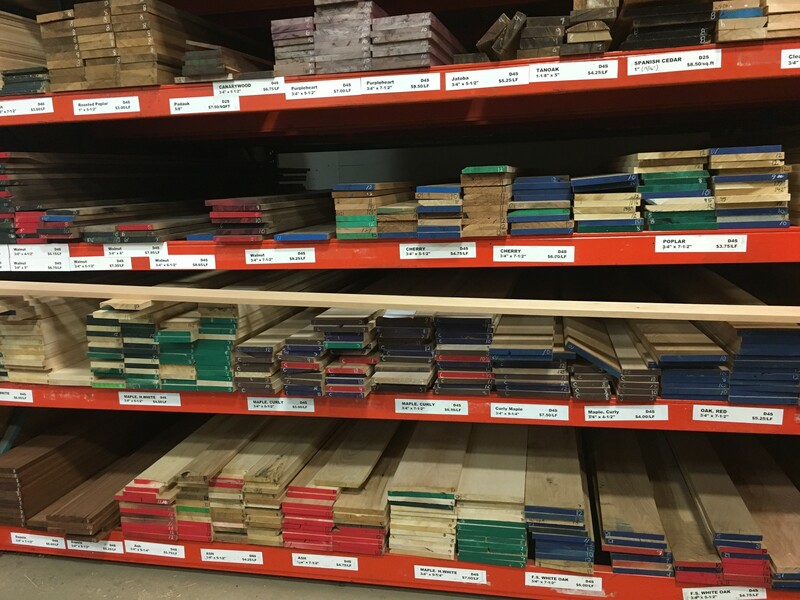 Go to a lumber store and order a 2×4×8, and everyone understands what that is. The humble 2×4 is of course not actually 2 inches by 4 inches. This is the nominal dimension used when a tree is cut into dimensional lumber after it is felled. Dry the wood in a kiln, and it shrinks, less so in length, but considerably in the other two directions. Then the wood is dressed, by planing. The result is that a 2×4 becomes a 1½×3½. Easier to remember 2×4 than 1½×3½ though. 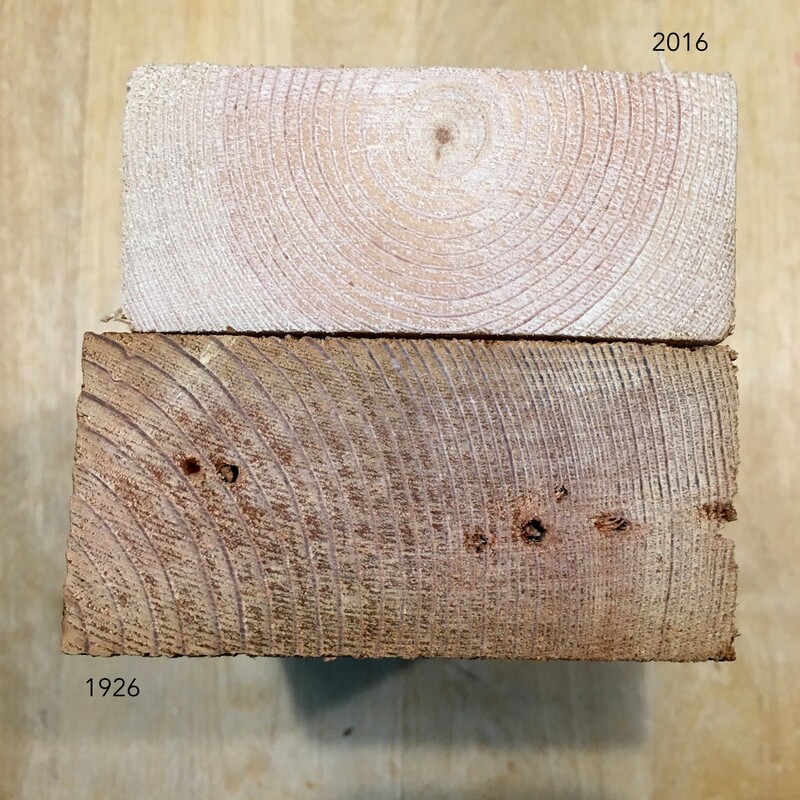 Other dimensions of lumber dry differently. Typically a 1×6 is actually ¾” by 5½”. 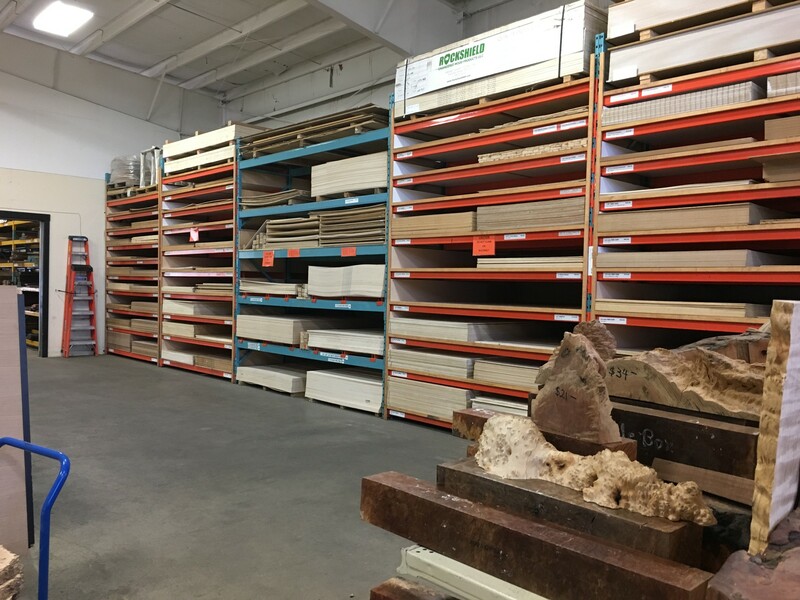 In the early years of the lumber industry in North America, each region had its own specifications for lumber size, largely because lumber was sourced locally. As lumber began to be produced for different markets (e.g. domestic cities, export), a standard had to be considered. The Forest Service of the U.S. Dept of Agriculture produced an article in 1964 titled History of Yard Lumber Size Standards. It discusses the historical aspects of lumber dimensions, and is quite complicated. In the early 1900s, the common thickness for a dressed 1″ board was 13/16″. By 1929 this had changed to a standard 25/32″. 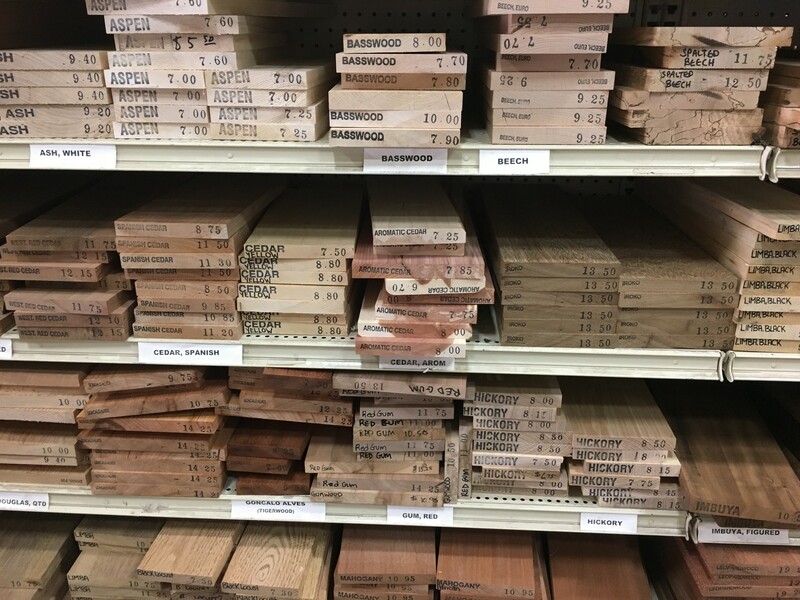 Then on April 30, 1956, the American Lumber Standards Committee voted to establish ¾ inch as the standard dressed dry thickness, where it has remained to this day (there was an attempt in 1964 to modify the thickness again to 5/8″). I have a bunch of nice kitchen knives, but have never liked the singular knife block I have in my kitchen. It came with the original kitchen knife set I bought 16-odd years ago. Since then I have added both vintage, German and Japanese knives to my kitchen. Now I have a magnetic wooden bar for under the kitchen counter (still to be installed of course), for the smaller knives, but what to do with the large knives, and the cleaver (also a vintage find)? 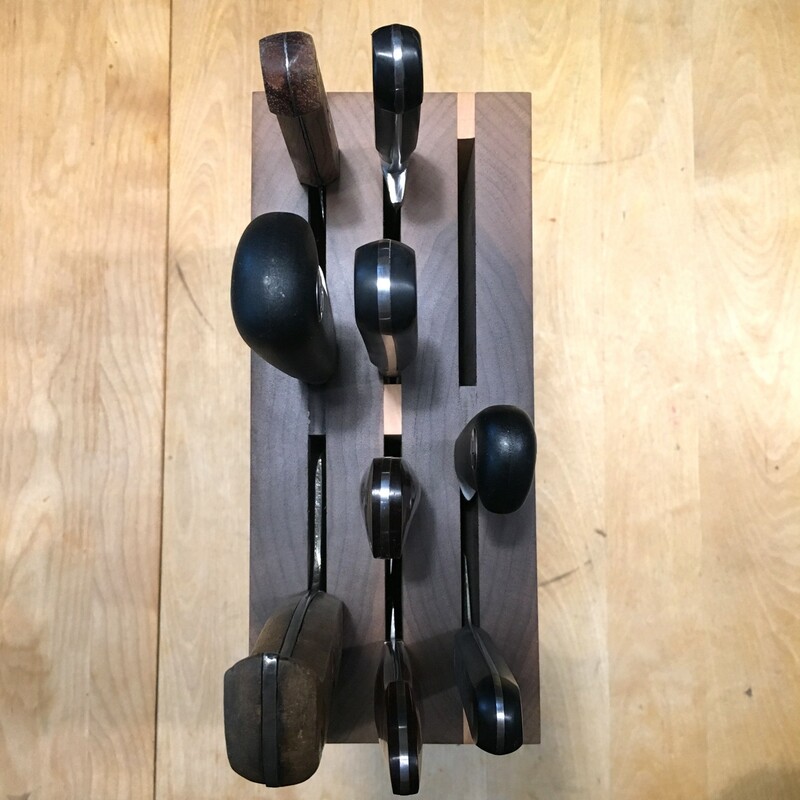 Buying a knife block for a custom set of knives doesn’t work, and the heft and length of the knives means a magnetic knife block is out of the question. 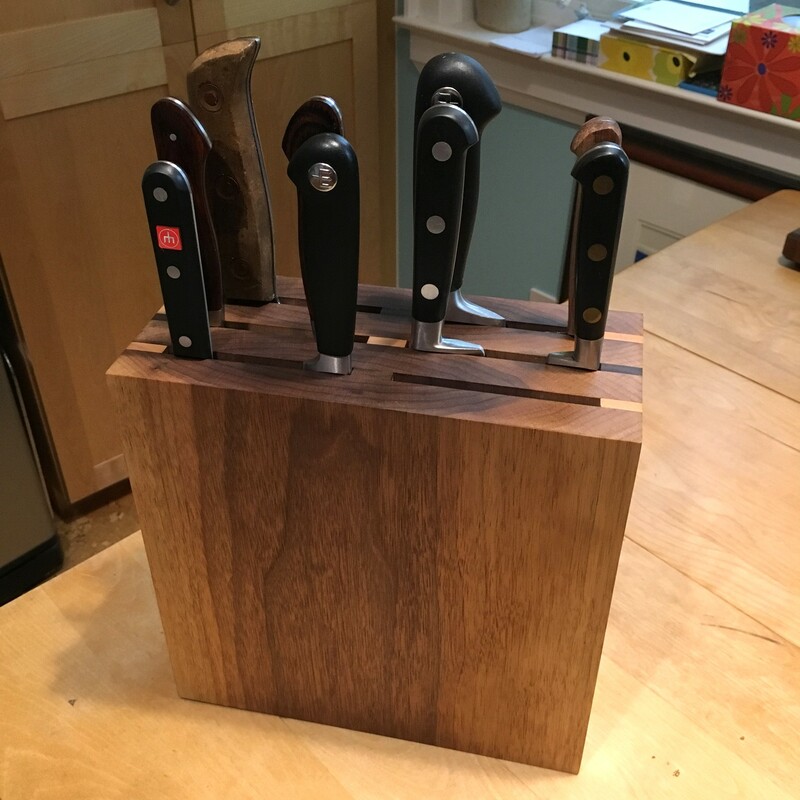 So a while back I saw a vertical knife block which seemed to fit the bill… a “solid” block made of walnut with enough room for about 12 knives. Only problem? C$270. Way too much, and on closer inspection, it was made with ¾” walnut joined to make it 12″ wide. So, I had a piece of walnut 1″ thick that was sitting around in the basement, so I made my own. This block is approximately 10″×10″×4″ deep. 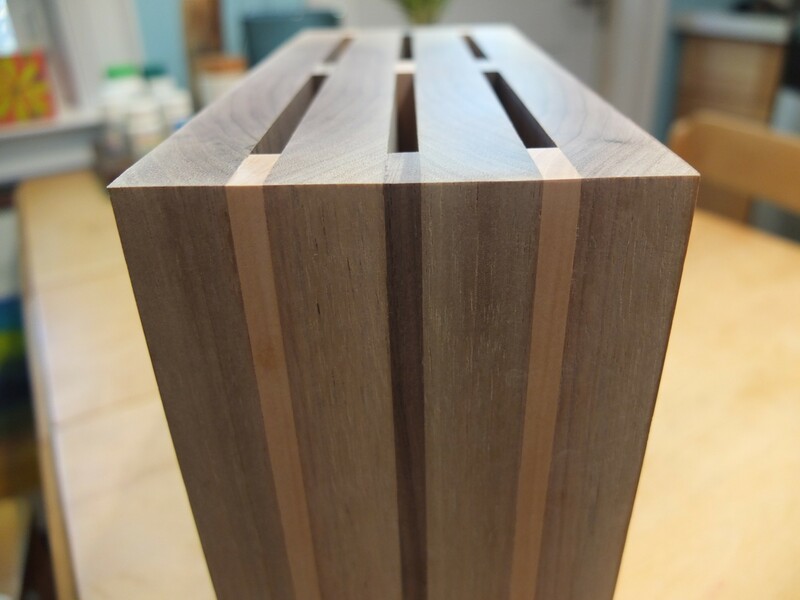 The block is made of four pieces of walnut, all from the same slab of 1″ thick material. 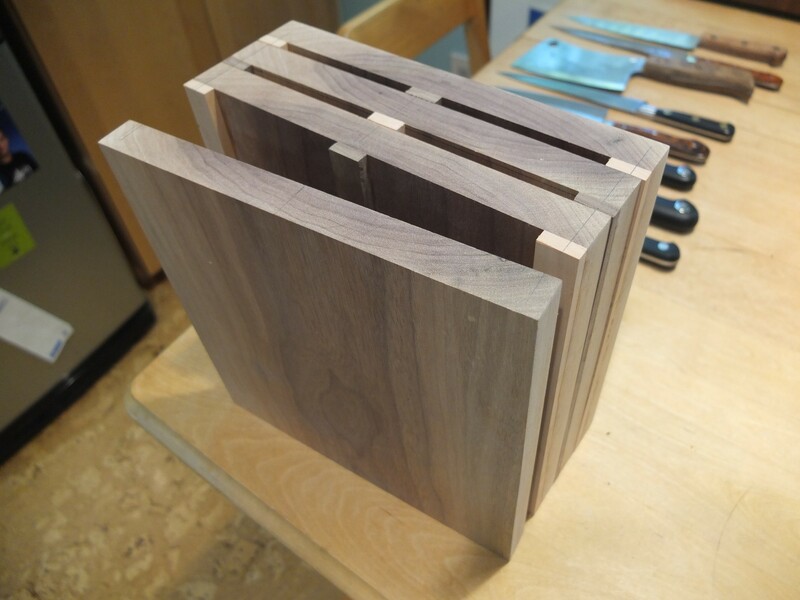 The knife slots are made by separating the pieces with ¼”×5/8″ strips of wood – some of darker walnut, others from a piece of pear I picked up recently. Pears and walnuts make a good combination right? I like the contrast, but you could use all walnut if you want, of any wood for that matter. Pear, dark walnut, and pear again. This gives six slots, which are large – one is for the cleaver, the others can be shared. Splitting the slots too much, takes away the generic nature of the block, and as the knives sit vertically, there shouldn’t be too much interference if two knives sit in each slot. 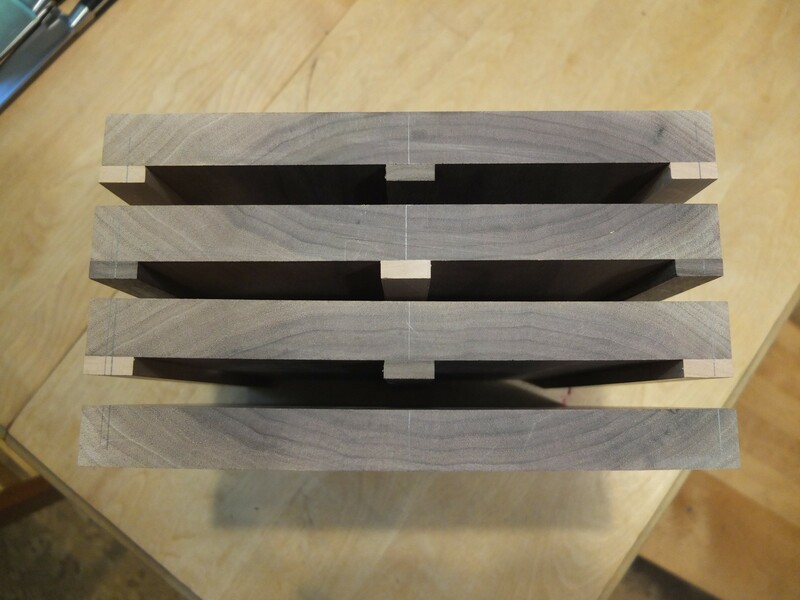 Making the block is a simple matter of making sure the four 10″×10″ pieces are all aligned properly then gluing the strips onto the back of each of three of the pieces. I made the separator strips, by running the pear and walnut planks through the planer to get the right thickness, then cut them to size on my table-saw. The four segments after glueing the spacer strips. Once the strips are glued on, the four individual pieces can be registered, and then glued together as a block. The glued block before finishing. When the glue is dry, I sanded it using my Festool RO125, using 120, 220, and 320 grit paper, and then gave it two thin coats of Tried and True, Original Wood Finish.Currently home to eight knives and a vintage cleaver (organized from largest in the back, to smallest in the front). 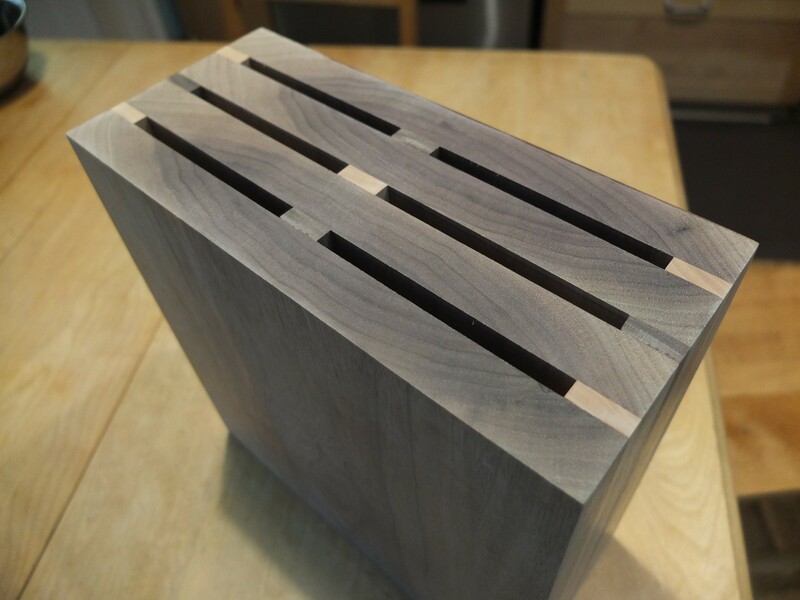 Overhead view of the finished knife block. You could also incorporate magnets into the front of the block to hold a line of small knives if you wish. Was down at Atlas Machinery on Queen St. West this afternoon, buying a sanding pad for my Festool sander, and came across this great selection of new “old stock” files and rasps. These have been sitting in the basement for 40-odd years. And talk about a great deal! 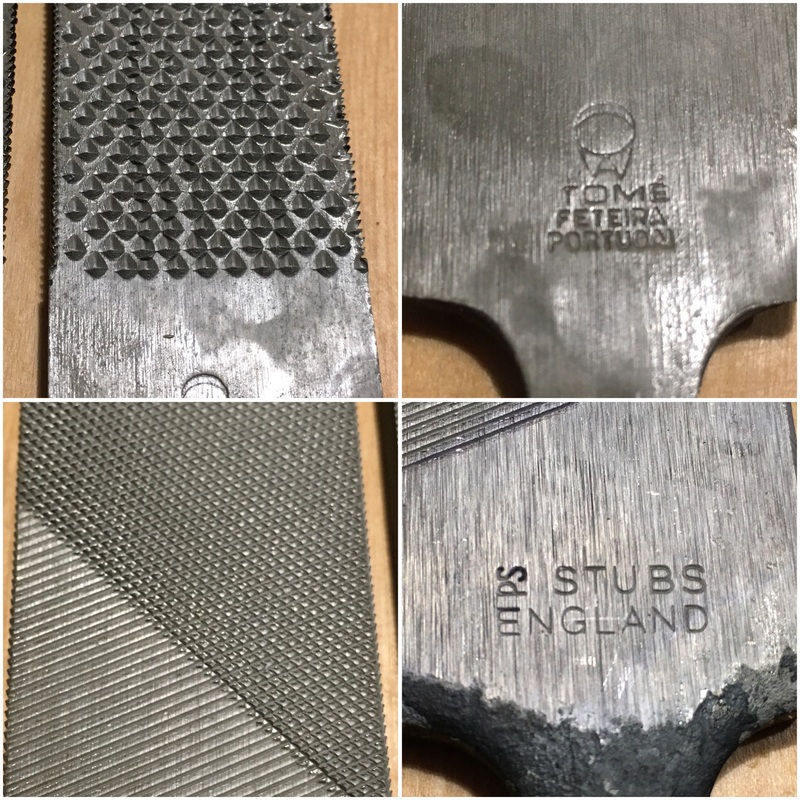 I bought a couple of 12″ Tome Feteira smooth cabinet rasps for C$7.50 a piece (a box of 6 is C$30), and a 14″ 2nd cut file made by Stubs, (Lancashire, England) also for C$7.50. Stubs stopped making files in about 1990. So I ended up buying five files and three cabinet rasps. Sightly *overkill*, but these are fantastic. 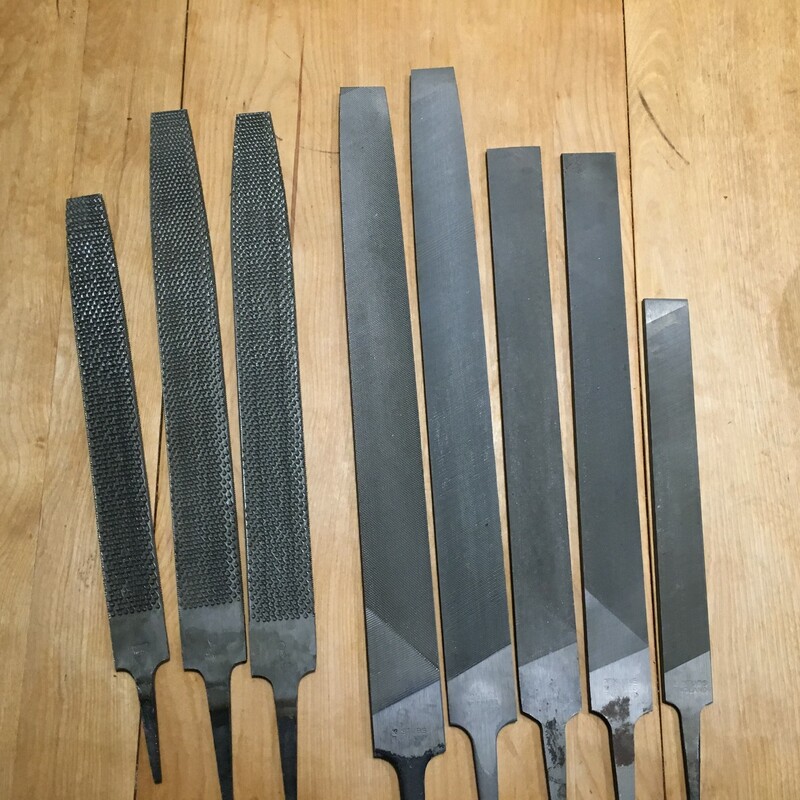 The files will be perfect for sharpening axes, scrapers, and the like. They are only in-store, but if you’re interested, call them up, I’m sure they would ship. Aluminum block planes are the odd ducks of block planes. 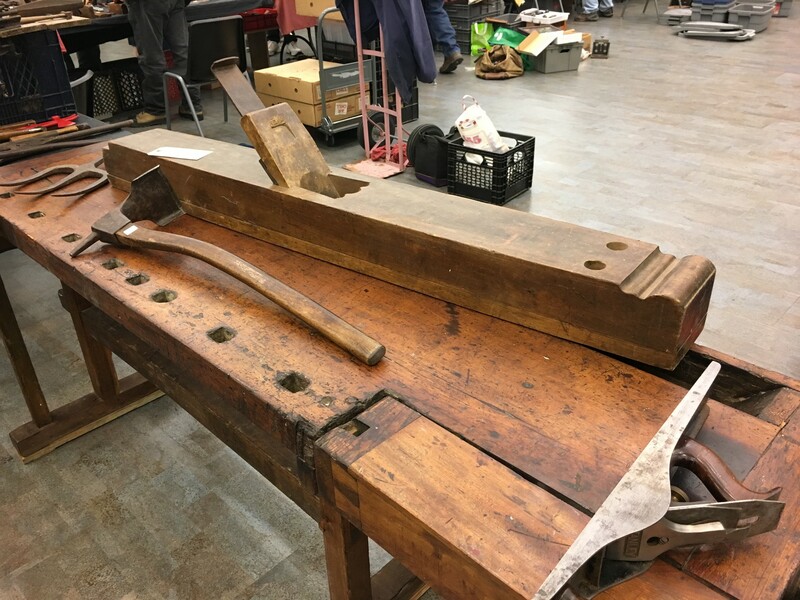 The problem with early cast-iron planes was the fact that were they to be accidentally dropped on the floor, they likely would not survive due to their brittleness. Pressed-steel block planes helped alleviate this problem, however there is still the issue of rust. So for a period of time, manufacturers turned towards building aluminum planes. Aluminum as a metal was first isolated by Danish physicist and chemist Hans Christian Ørsted in 1825, although in a impure form. German chemist Friedrich Wöhler furthered this work, isolated aluminum in 1827. French geologist Pierre Berthier discovered aluminium in bauxite ore. However, large scale production of aluminum was not possible until the development of the Hall-Heroult process – American chemist Charles Martin Hall and French chemist Paul Héroult developed the process simultaneously in 1886. Their process extracted aluminum from aluminum oxide, however it consumed a substantial amount of electricity. In 1888, Austrian engineer Karl Josef Bayer developed a process by which alumina could be extracted from bauxite. The 1890s saw the production of the first aluminum boats, and 1899 saw Karl Benz present the first sports can with an aluminum body. By 1915, the first all metal plane, the Junkers J1 had appeared, made of Duralumin, an aluminum alloy which included copper, magnesium and manganese. After WW1, the use of aluminum in consumer products increased. 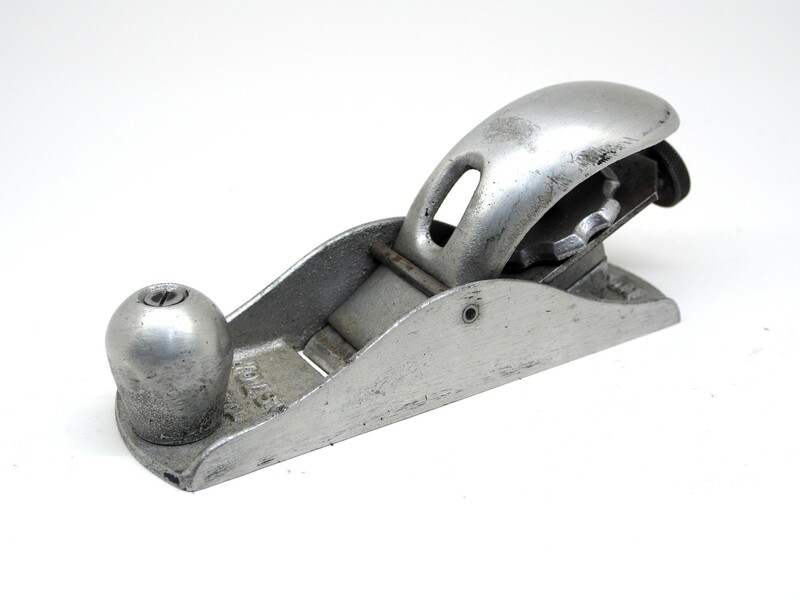 By the mid-1920s, Stanley began production of its bench plane series using aluminum – the A4, A5, and A6. 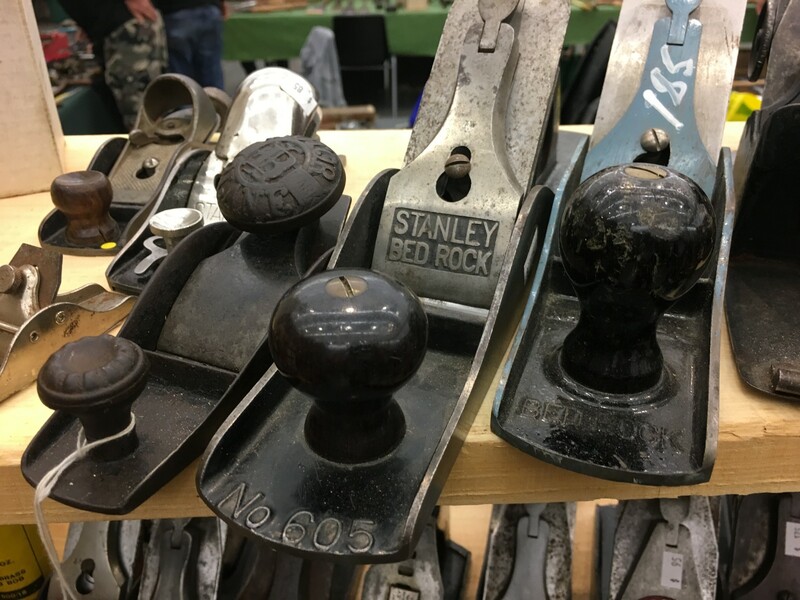 The Stanley A18, an aluminum version of the No.18 knuckle-cap block plane was produced during the two world wars from 1925-1935. In the bench planes, the bodies and frogs were made of aluminum, whereas on the A18, only the actual body of the plane was aluminum, with the remainder constructed of nickel-plated metals. The core benefits of aluminum planes are: (i) they are light weight, (ii) they don’t rust, and (iii) they don’t crack or break when dropped. However they have an equal number of limitations. Firstly, when they appeared, they were 30% more expensive. In 1926, the A18 sold for $3.50, while the No.18 sold for $3.00. This was likely one of the factors of their limited success, that and their introduction before the Great Depression. Next, because aluminum oxidizes, when the planes are used, they leave black marks on the wood, discolouring it (the same thing happens with aluminum ladders). Finally, because aluminum is a soft material, its sole is susceptible to scratching, and denting. Aluminum is often thought of as being rust-resistent, however corrosion can actually be a big problem in aluminium blocks. One reason for this is that contact between aluminium and steel can cause galvanic corrosion. For some of the planes, such as the UTIL, and Foster, there is little information. Foster Mfg. Co. sold woodworking machinery for the home user in the late 1940s (the company was gone by 1953), and so this hand plane seems to be a one-off? Maybe a give-away? They didn’t manufacture any of the tools they sold. There were also a couple of planes from the Stanley Model Shop, aluminum versions of the No.110, and No.220 (they were never put into production). Stanley may have produced the greatest number of aluminum planes in total, also producing A4, A5, and A6 bench planes and the A45 combination and A78 rabbet planes. P.S. I wanted to post some images of aluminum degradation, but none of my aluminum block planes have any! 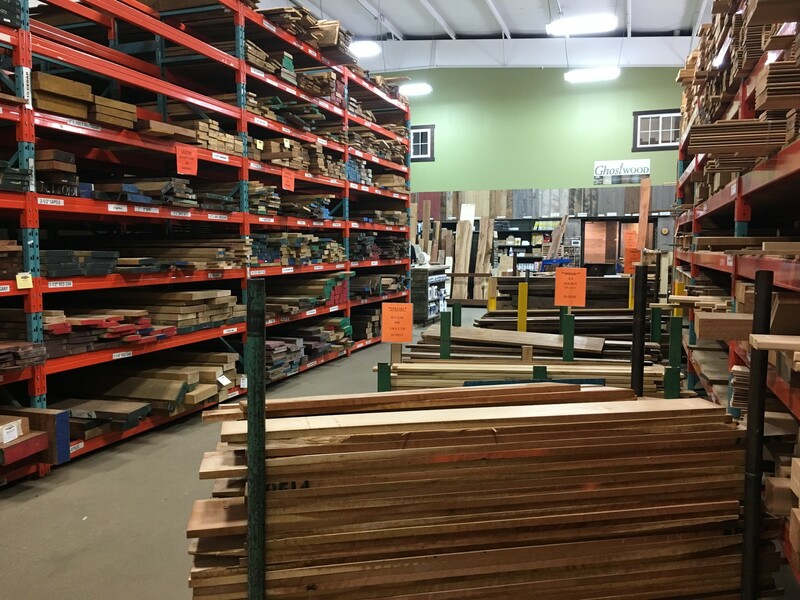 If you ever want to spend a couple of hours in a forest of wood, head down to Exotic Woods in Burlington. It’s not quite the same as walking in a living forest, but it is an awakening of the visual senses. Every conceivable type of wood product can be found here. 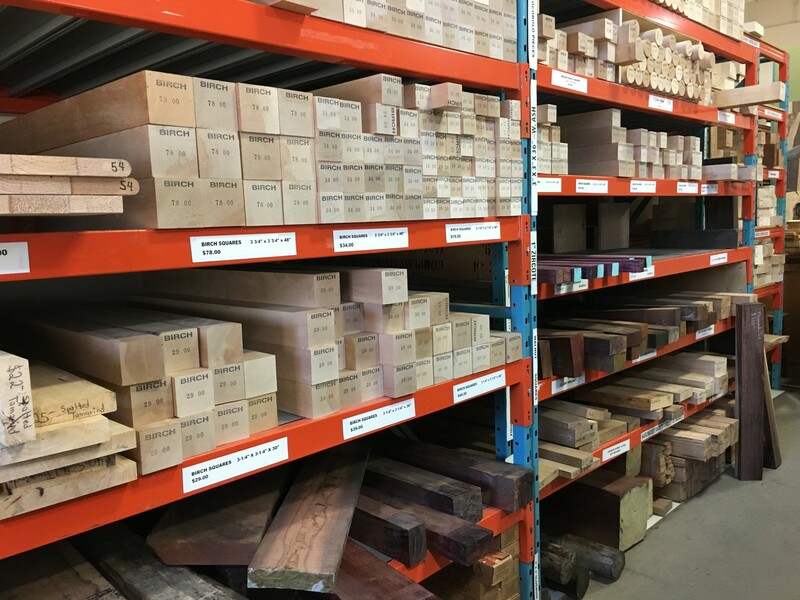 They have a great selection of D4S, domestic and exotic woods, sheet goods, veneers, live-edge slabs, turning blanks, burls, and wood for musical instruments, stains, epoxy, banksia nuts. What don’t they have? Not much. Firstly, *lots* of lumber, of every conceivable species you may desire, domestic and imported. An incredible amount of dressed lumber (D4S), for those of us who don’t have the capacity to dress large boards. Exotic Woods also offers machining and finishing services, so it is possible to have anything milled. Sheet goods… baltic birch, marine ply, ply that is 1mm thick. 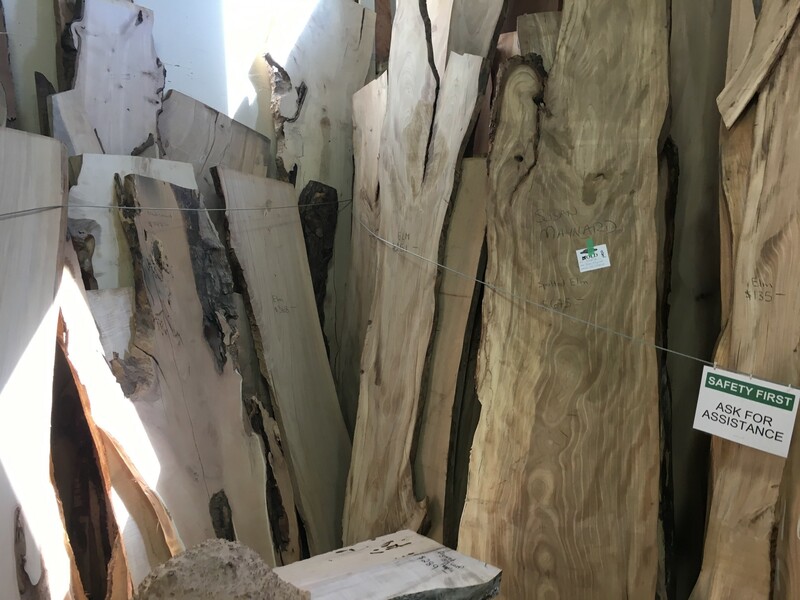 Live edge slabs – want to build a coffee table? dining room table? Square and round turning blanks in maple, birch, ash… large enough to turn your own baseball bats! Or make your own woodworking planes from the birch blanks? A bundle of shorts (12-16″ long) D4S in exotic species for small items, e.g. cutting boards and hobby work. (They have small live edged boards for cutting/cheese boards too). They are conveniently located next to the Appleby GO station, so they are easy to access (if you don’t have a car), and they can also organize delivery. Well worth the visit (usually very busy on a Saturday). Tools of the Trades was today. I got there 10 minutes after opening… but there seemed to be fewer people early on – probably the nicer weather? I walked the tables a couple of times, but didn’t find too much that really tempted me. I was honestly looking for some European tools, always a hard task… but I found one.. There were a couple of nice sets of E.A. 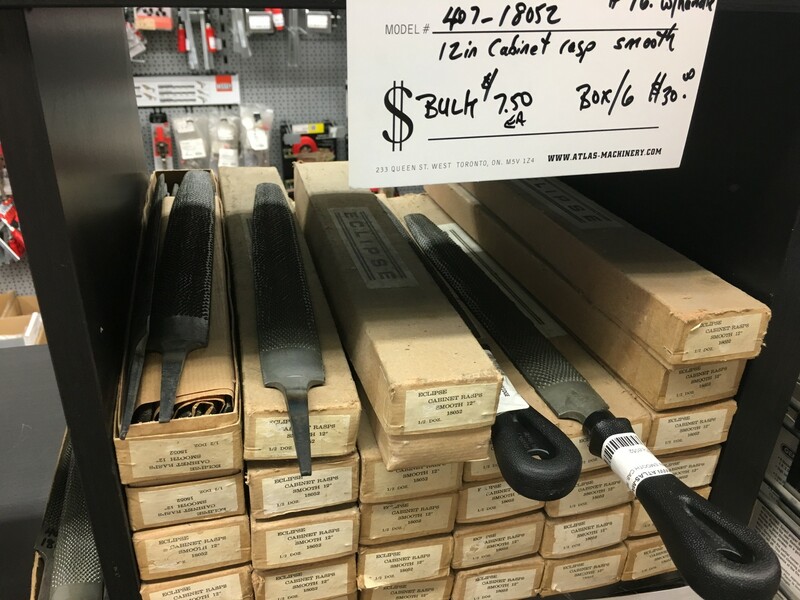 Berg chisels, but they are still a bit pricey for me – C$350 for a set of eight. Quite a few router planes about as well. Also in abundance were small vises, and boatloads of files – mostly metal files… sometimes as cheap as $1 a piece. I usually don’t buy used files, mainly because the task of finding a good one is too much trouble. 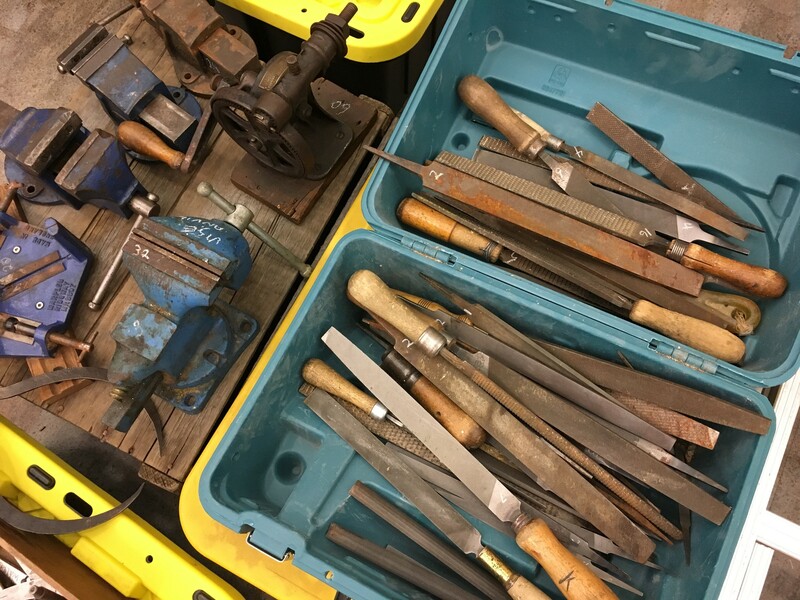 There is a good Japanese tool merchant, beautiful genuine tools – but expensive. 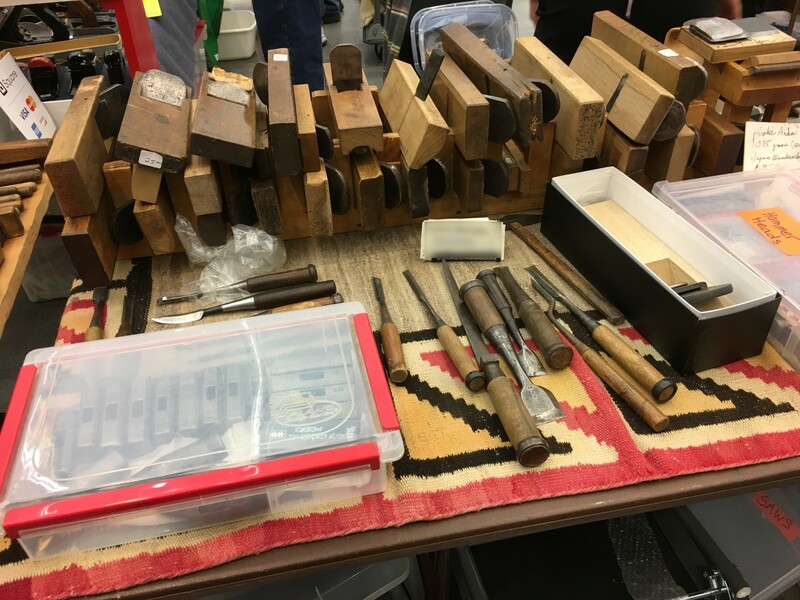 Lots of combination plane sets, from Craftsman, Record and Stanley for reasonable prices – C$200-$400. 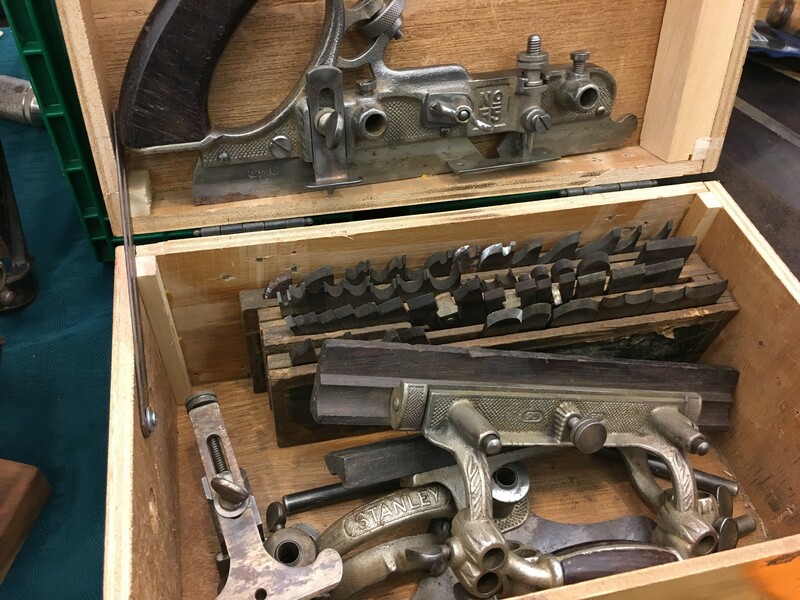 I’m on the fence with these… (1) Do I need one (I have a couple of plough planes and a smaller Craftsman), and (2) What about the Lee Valley’s new combination plane offering? It seems to be getting good reviews so far – Furniture & cabinetmaking magazine (Issue 262 Oct-17). Also the usual chisels and planes, hammers, and a new seller with vintages axes, which was kind-of cool. There are always a few gems as well. Of course the coolest thing was this huge coopers plane. If I had the space it would have looked great in my workshop. Heaven knows how anyone used these planes… even two people! 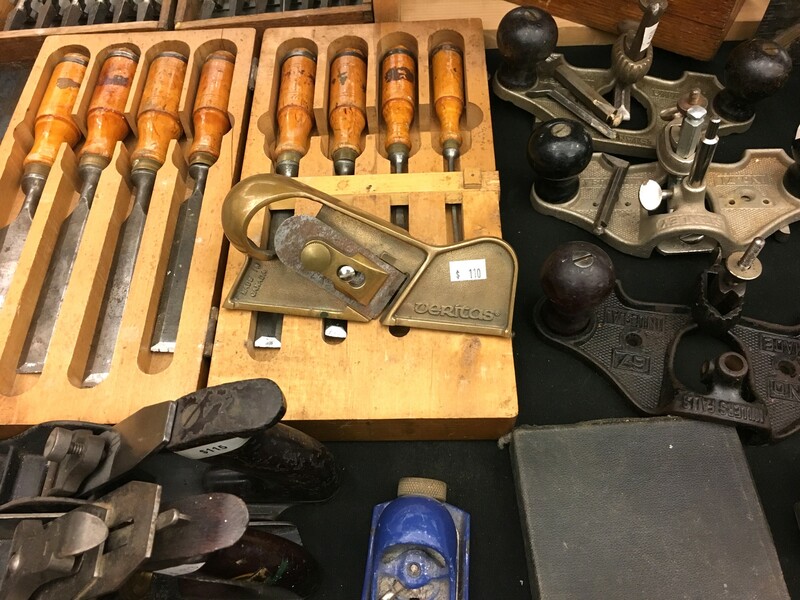 In the end I ended up with a nice Millers Falls No.45 block plane, a No.207 Sargent block plane, and a Rapier pressed steel smooth plane for my pressed-steel plane collection. The latter two were only C$15 a piece. The last piece I got was a 60cm long plane from Austrian tool manufacturer Joh. Weiss & Sohn. I’ll be writing a blog post on this in the coming week. It needs some work, part of the sole needs glueing, but was a bargain for C$20.